to Debra's Vintage Inspiration Friday. I have to say, you are one girl that constantly changes, and changes displays. Now I know that its not only at the store you are doing this, but at home as well! Sometimes you just gotta do it, right? Perfection. Sooooo perfectly perfect. :) I need you to give me lessons on junk stylin'. And white stylin'. Awesome, it had to be the prettiest driveway decor ever! LOL! So glad you kept it together to add to your home, because it is beautiful. I am soooo cracking up right now! Because my neighbors must think I'm crazy when I'm "creating" in the driveway!! Talking to myself, moving things here and there! Glad to know I'm not alone!!! All your "junk" looks amazingly chic Miss Kate! You are one darn good stylist!! 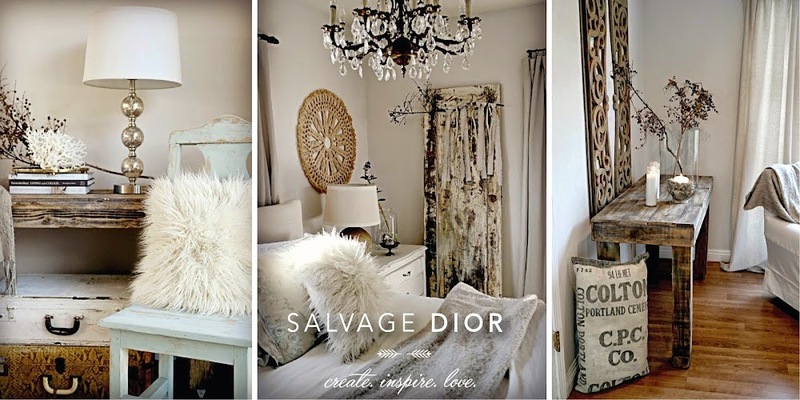 What a gorgeous vignette you put together..so very inspiring! absolutely beautiful white vignette! Happy WW! KATE, oh MY! so much delightfulness! LOVE that CART! Hi Kate, you have the prettiest junk I have ever seen. Happy birthday to your gorgeous son. My son who will be 15 on Sunday is thinking more now about the food that he puts into his body. Maybe he is finally listening to me since I changed my eating habits many years ago. Of course, after my summer in the STates, I got a little more junk in my trunk that I like. HA! I LOVE those crocheted necklaces mama made for you you and your daughter. I saw on someone else's blog something similar and thought I would like to give it a go. Now I am inspired to do just that. JUNK Vignettes, who would've thunk it!?! But if anyone was going to turn their junk into an artful piece of Eye Candy it was going to be Princess Kate! You've got such an eye for putting things together. See you at Irvine this Sunday! What lovely vignettes, Kate~ and I really love the dolly, too!! The dolly is wonderful! Love how you arrange things! Thank you so much Kate. I'm just so exhausted from today. Not how I had planned my day.....the call from the school telling me they had called an ambulance because he was hurt in P.E. class. Not sure what to think, but the day kept getting more intersteing. He ended up breaking his leg and needing surgery with a steel plate and pins. It was so hard as a Mom to see my son in pain like that. He is better now and the recovery process will begin. I kept telling myself all day that it could have been worse and I felt so fortunate that I have three healthy children. I know you can relate with pain and hurting and you've survived....we will too. Right now I'm heading to bed so I can be there first thing in the morning when he wakes up. What interesting JUNK-if you want to call it that. It's really cool what you came up with-I'm going to see what I come up with today since I need to spend the day in may garage cleaning it up for winter-thanks for the inspiration-Great Job! Ok...my honey just lost all his dollys, to me! Thanks for the inspiration!! You can't call that junk now. You did an amazing job taking a little of this and a little of that and turning it into such an artful display. Now I want to go play with some of the junk in my garage. Oh my goodness! That was just junk from your garage, that is an amazing gorgeous vignette you've displayed for us. Your blog is awesome and I'm curious where you have your booth coz I live in Socal as well. Saying 'hi' from White Wednesday. WOW KATE WHAT GREAT JUNK ( HARDLY LOOKS LIKE FABULOUS TREASURES TO ME ) SO LOVE HOW YOU PUT IT ALL TOGETHER ! What wonderful junk you have. I love the old tattered suitcases..everything looks perfect together. to see my goodies for WW. Hi Kate, That great display isn't junk at all! I love it and am glad you decided to bring it inside to enjoy:) Have a great week:) Hope everything is going well for you and your family. Only magic little hands like yours can turn anything into a thing of beauty...One women's junk is definitely your gorgeous vignette. Sending you muchos, muchos, besitos. Hope you're doing well my dear and sweet friend. You call it junk...I call it beautiful! If I went into my garage all I would get is greasy! You really have the best eye for design. Kate EVERYTHING you touch turns out fabulous, I need you to come and "redecorate" my house!! Hi Kate! I love how you mixed vintage treasures with the white coral pieces! So beautiful! i think you have a golden finger. i wish i lived in your neighborhood!!! your driveway had to look like a huge treasure box! love how you find ways to shake things up and showcase things in new ways. that's talent, man. you are so beautiful. you must hear that like constantly! LOVE this post and you too, Girlfriend! I need to take notes here! Thanks so much for linking up with VIF! Loved it all -you must of had a ton of fun doing this! Kate, you have the most effortlessly beautiful style out there! Even though I don't always comment, I ALWAYS check in to see what you're up to...I think you're AMAZING!